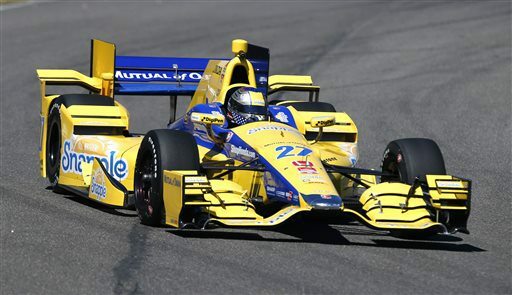 Great Jules Goux’s ghost are we glad to get back to some good old IndyCar oval track racing. This season’s oval finale ABC Supply 500 will be run at Pocono Raceway Sunday afternoon and in our view it can’t get here quickly enough. 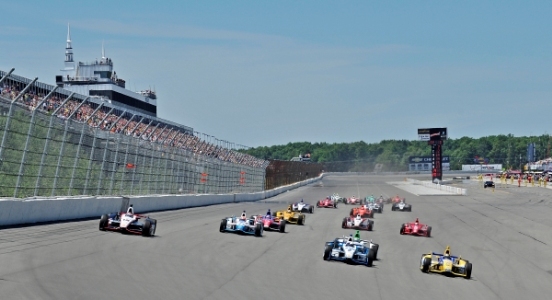 After a three week layoff, anticipating the exciting, side by side racing IndyCar generally displays on ovals is a given, although so you know Pocono’s a bit roval-esque for our particularly refined racing tastes. A technical track, Pocono’s a tri-oval with different banking in each of its three unique corners – a triangular shaped track and a really odd duck. Turn one was modeled after the old Trenton Speedway, two after Indianapolis Motor Speedway and turn three after the flat Milwaukee Mile. Apparently they couldn’t think of a track for a fourth turn. Drivers and teams must make compromises in their setups to navigate each corner smoothly, although there’s usually at least one corner the car doesn’t like. Clearly “NASCAR’s Tricky Triangle” as it’s irksomely billed isn’t your typical oval, don’t you know. 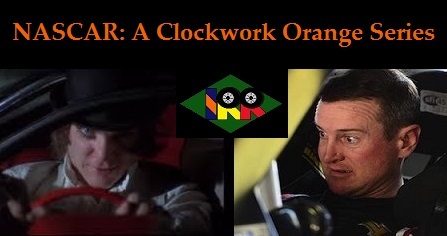 You know IRR’s definitely jazzed about another 500 mile IndyCar race, but at the same time sad that it’ll be the last until next Memorial Day weekend, especially in the wake of Fontana’s loss. 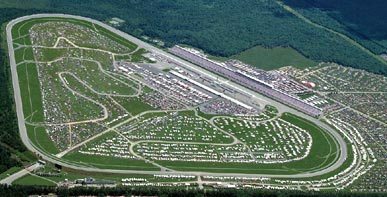 From what we’re hearing, ticket sales had better improve ASAP in northeastern PA or else it may be the last 500 miler – or IndyCar race of any distance – at Pocono. Tragically it may truly be “NASCAR’s triangle” after this weekend. That is at least until a certain head we’ve requested comes in, you know. 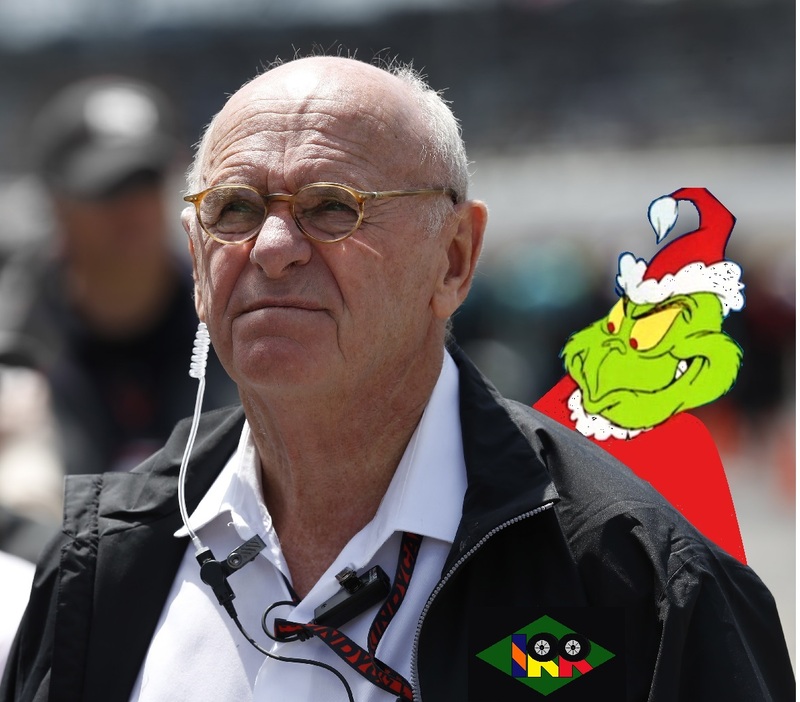 Andretti Sued By His Own Company: Only in IndyCar would a prominent owner and face of the sport be sued by his own company. 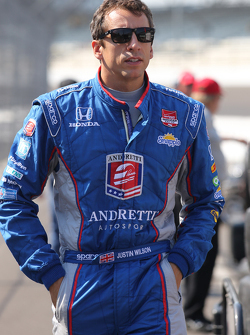 Leave it to Curt Cavin to report that Andretti Sports Marketing is suing Andretti Autosport in Marion County Superior Court. 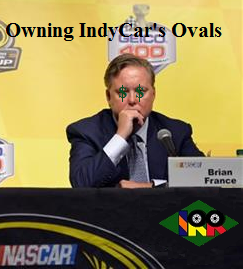 In a statement Michael Andretti – the CEO of both outfits – singled out complainants President John Lopes and Treasurer Starke Taylor as “disingenuous and self serving” in their attempt “to impact our family name.” Sounds like recent cutbacks at ASM have led to disgruntled employees and hard feelings. 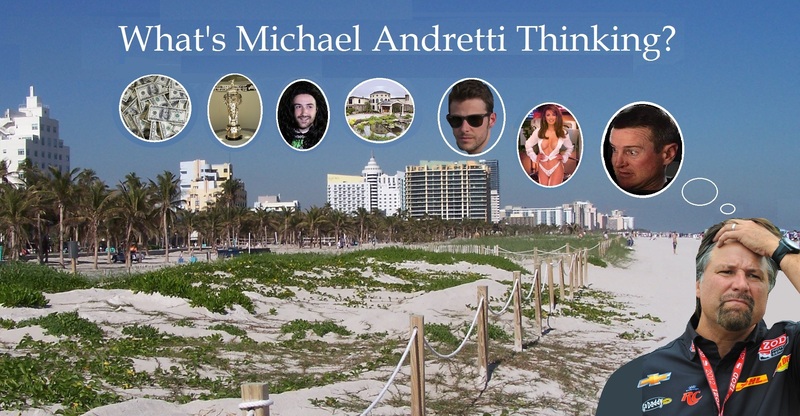 Wonder if Michael wants to get away? 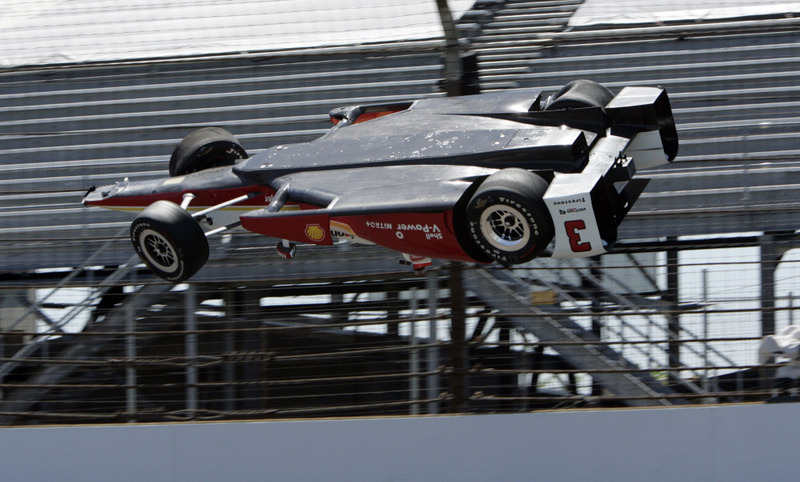 Testing For The Centennial: Six cars from four teams are testing today at Indianapolis Motor Speedway. 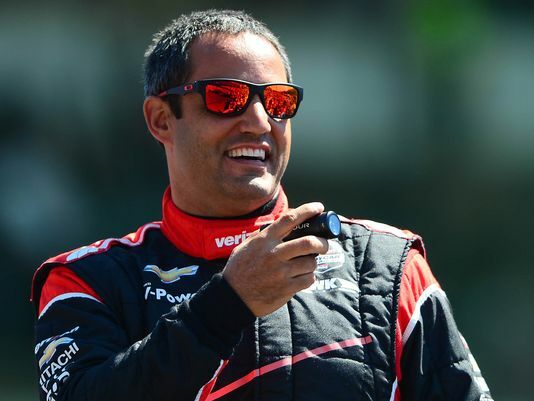 Marco and Helio will be testing Firestone tires while Carpenter, Kanaan, Pags and RHR will be doing some team testing on the historic oval. Looks like no vacation for these six drivers, or at least a slightly shorter one. 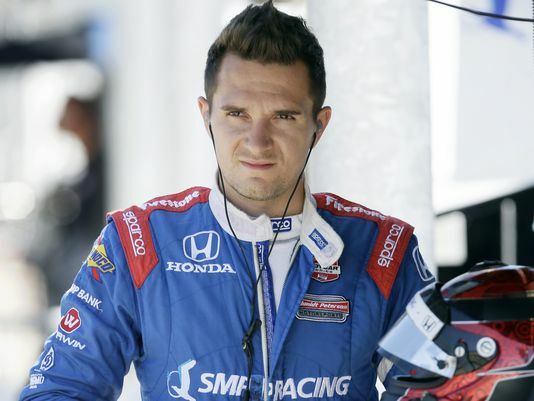 It’s wise to test the cars, tires and aero kits earlier as opposed to later, as hopefully next year won’t see a rash of cars flying through the air at Indy. 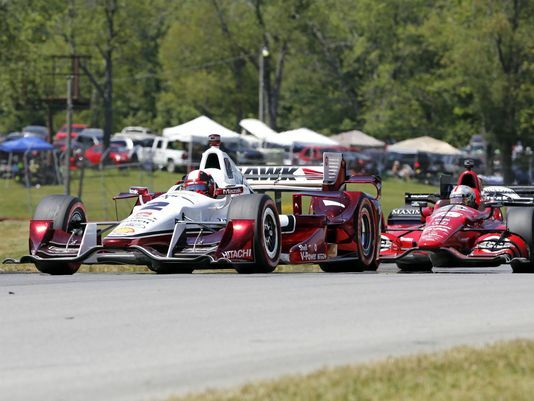 Finally Graham Rahal won a race on his home track after seven previous starts at Mid-Ohio and nary a podium to show for them. 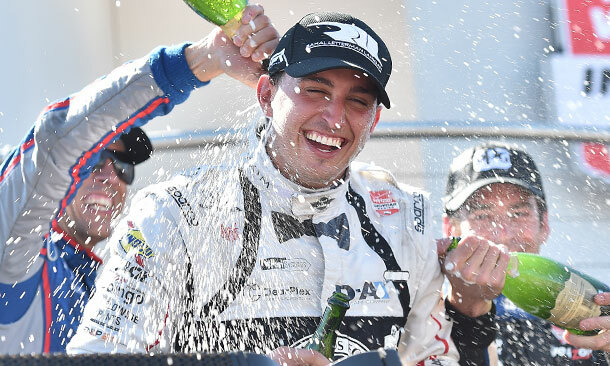 Inheriting the lead after pitting just as a caution flag came out, Rahal determinedly held on for his second win in what’s already his best ever season in IndyCar. Unfortunately Courtney Force wasn’t on hand for her fiance’s big day yesterday, as she brightens up any venue she attends. But who can blame her for skipping Mid-Ohio though, really? 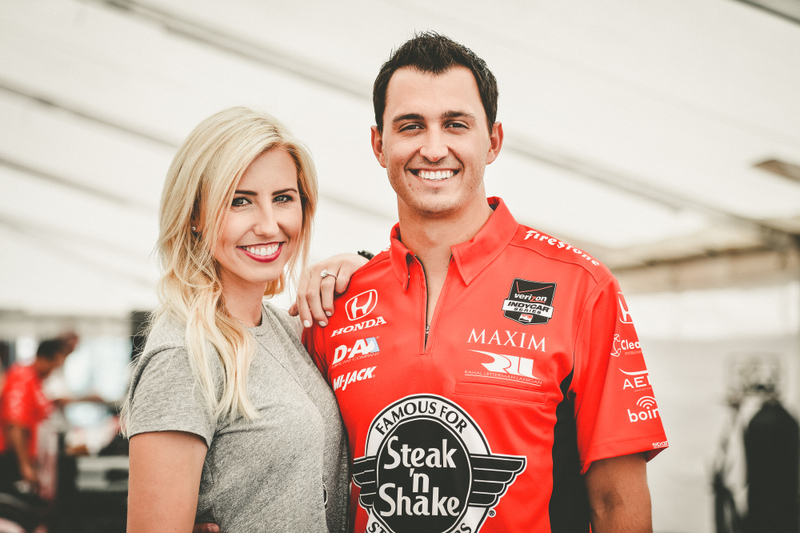 During the pre race show Katie Hargitt interviewed Graham Rahal about “growing up at Mid-Ohio.” Graham mentioned remembering camping there as a youth, seamlessly worked in his sponsor Steak ‘N Shake and spoke of generally “terrorizing the place.” We wonder why there are never any Maxim references from Rahal. His helmet for the race resembled the Ohio State Buckeyes football headgear, right down to the buckeye stickers awarded for good play. Graham mentioned he wanted to introduce helmet stickers to his pit crew for performance, citing “competition.” It must have worked, as his crew performed well all day long. 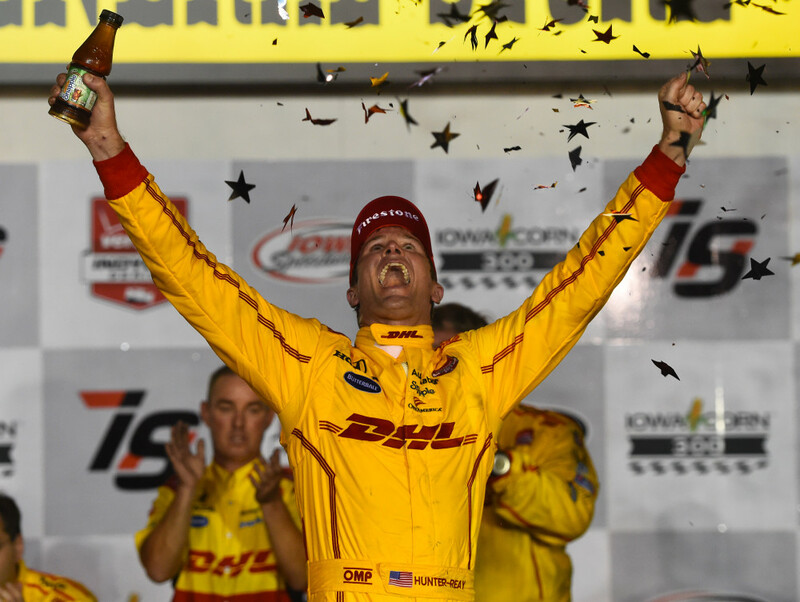 Coming off an American sweep in Iowa, Mid-Ohio was packed in anticipation of a home town hero emerging and the fans weren’t disappointed. 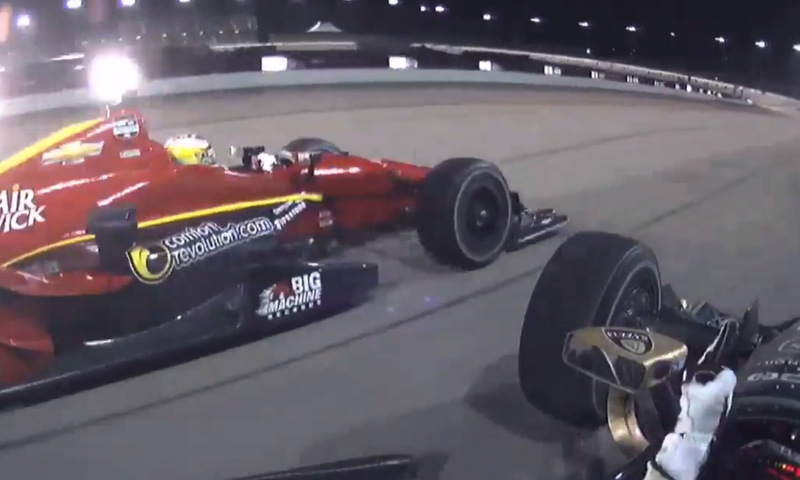 NBCSN’s competent coverage on CNBC included all the usual angles, as Katie Hargitt also interviewed Sage Karam, asking him about the recent dust-ups with Ed Carpenter and Graham. 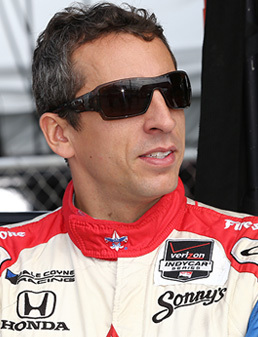 Sage first played the pity card before calling Rahal out. Walker Walks: Mark Miles announced Derrick Walker’s resignation as IndyCar President of Competition Thursday, effective at season’s end. Walker’s brief two year tenure leaves yet another void in series leadership, using the term loosely. 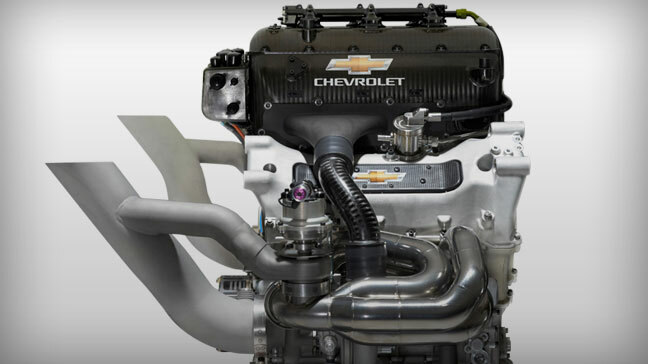 His biggest challenge was overseeing the introduction of the costly and controversial aero kits this season in an effort to differentiate the look of the cars. Walker’s Wake: It’s become a freakin’ turnstile at 16th & Georgetown and speculation about a replacement for Walker has already begun. 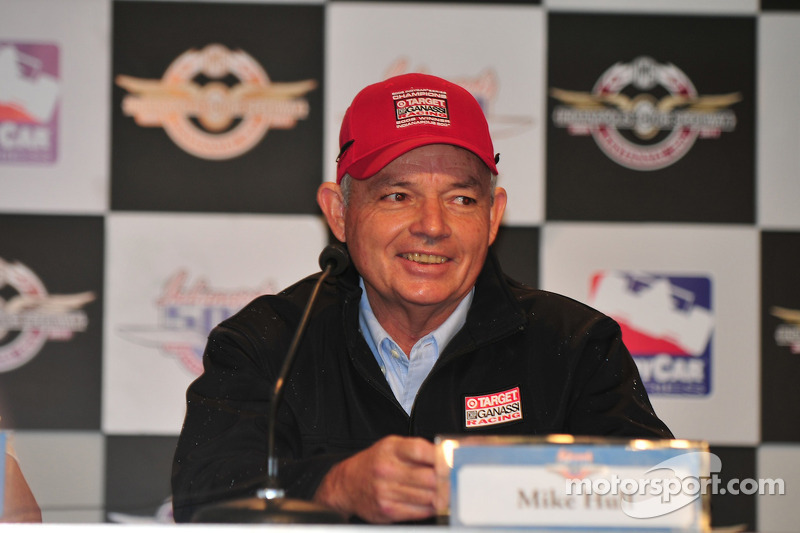 Curt Cavin pointed to Ganassi honcho Mike Hull as a likely replacement, but we just don’t see it. Hull has the knowledge and experience, but he’s an extremely odd duck and like Walker would struggle as a face of the series with the press. Walker’s impending departure at the end of August also means we’ve a lame duck in charge of race control for the final three races, so don’t expect an immediate uptick in rational calls or a more even application of penalties. Sadly such inconsistency will be Walker’s legacy as competition chief.